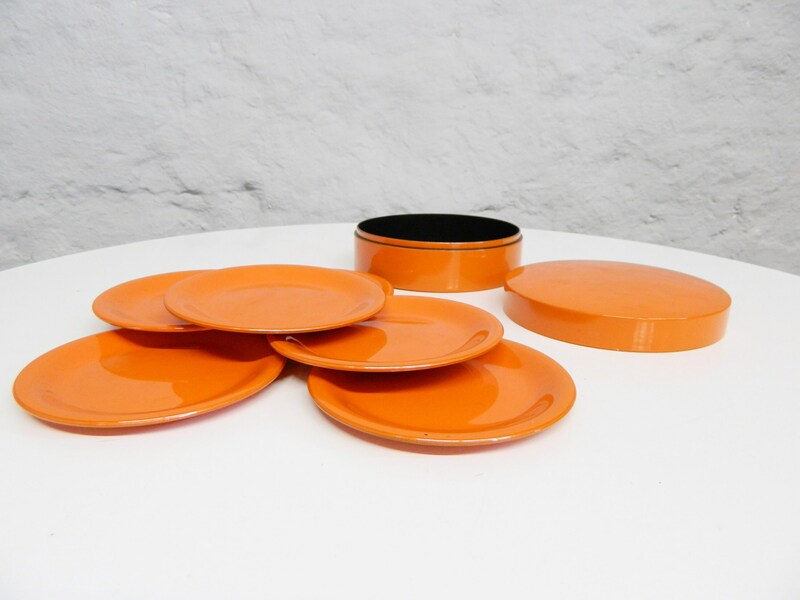 Coasters In a poppy Orange! 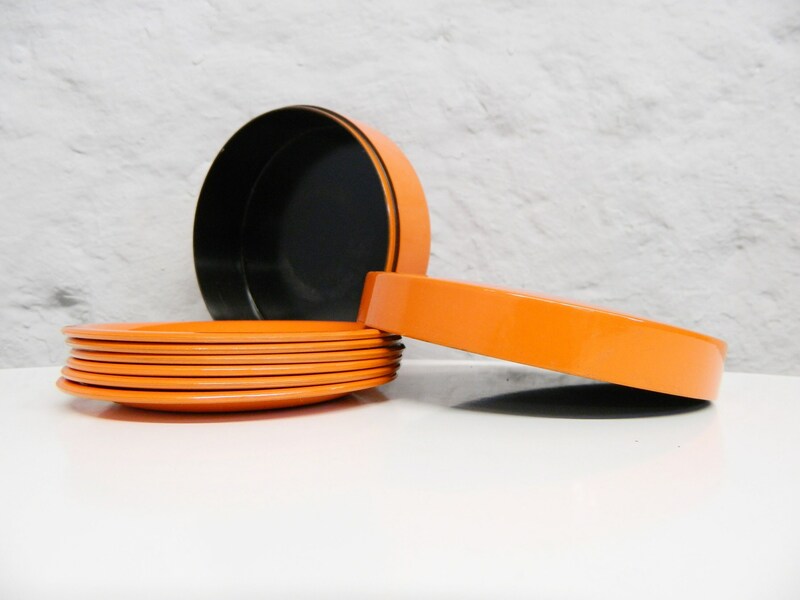 These great Plastic coasters find their permanent place in a matching and accompanying can, should they not decorate a iconic Dining Table or Living Room table. Very good vintage Condition, therefore also suitable as a Gift. 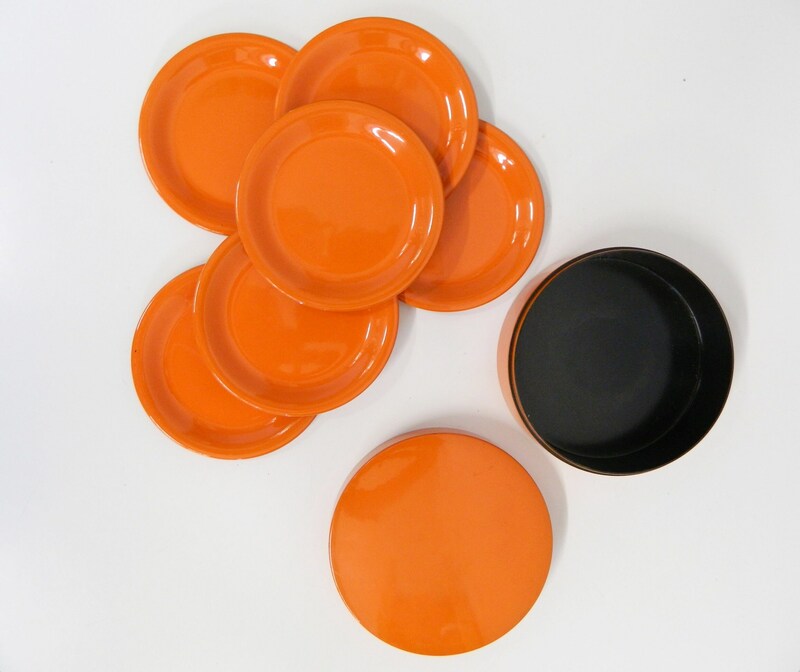 Diameter/Can 12 cm, 4.7 "
Diameter/Coasters 10.5 cm, 4.1 "